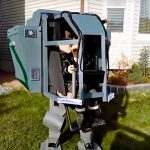 What are the odds of people dressing up as Star Wars AT-AT pilots? I would think the odd is extremely low because, you know, AT-AT pilots are not as iconic as the Stormtroopers, AKA troopers with terrible aim. 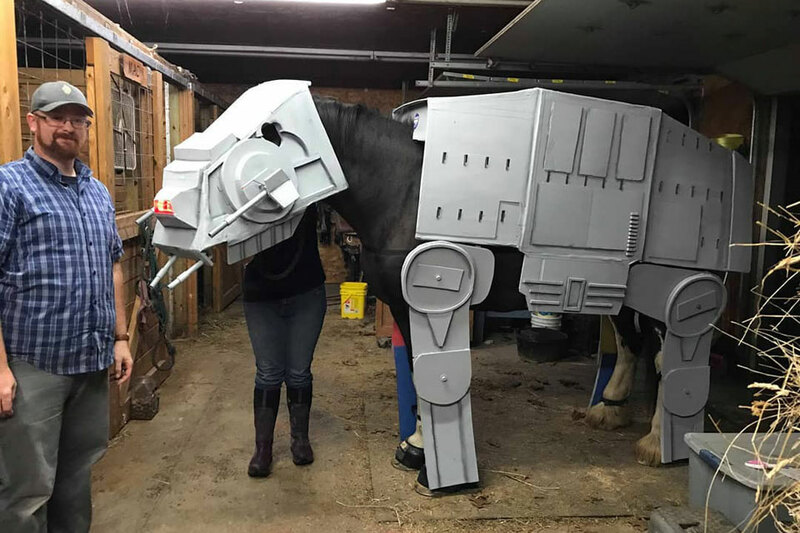 Anyways, if you or your kid planned to cosplay as an AT-AT pilot for this Halloween and you also happen to have a pet horse, then you probably will want to do what Mike’s Tiny Shop has done: dressing a horse in a custom AT-AT Imperial Walker costume. 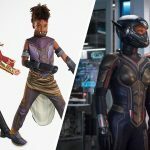 Mike’s Tiny Shop really did that and the result was pretty damn impressive. 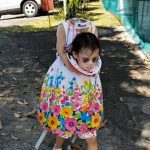 Well, what can I say? 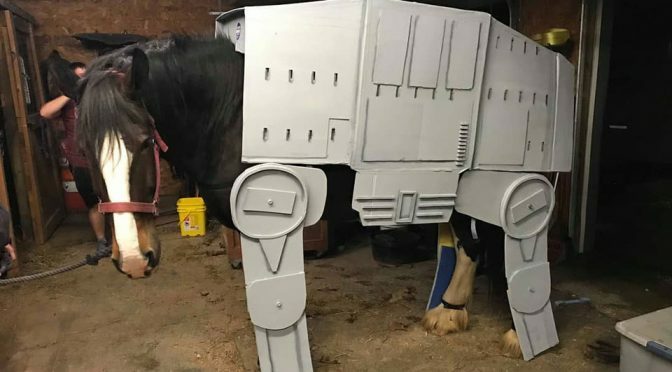 It turns out that, besides dogs, AT-AT and horse are also a match made in heaven. Like, who knew, right? 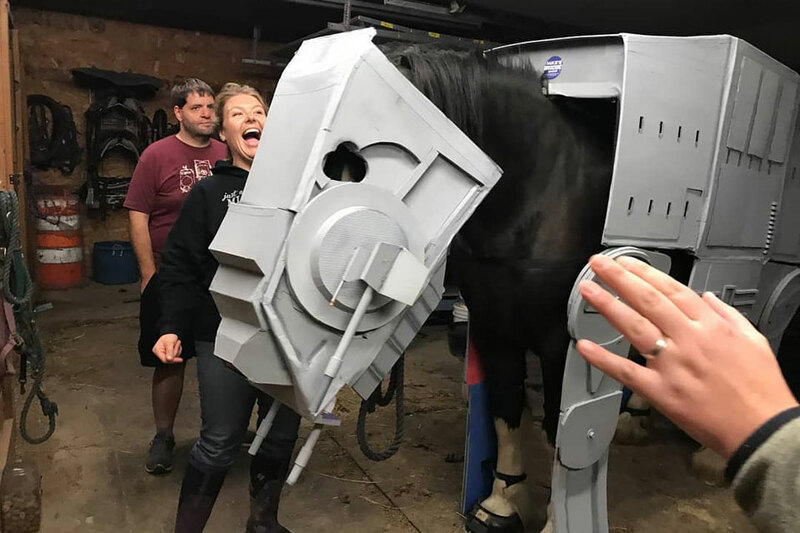 Though it is hard to tell if the horse is impressed, or thinking “what the hell is going on here?” Dressing up as an AT-AT pilot wouldn’t be complete without an Imperial Walker and obviously, building one would takes years and cost hundreds of millions. That’s not to mention that a horse will be able to roam your neighborhood without crushing the houses in the process. 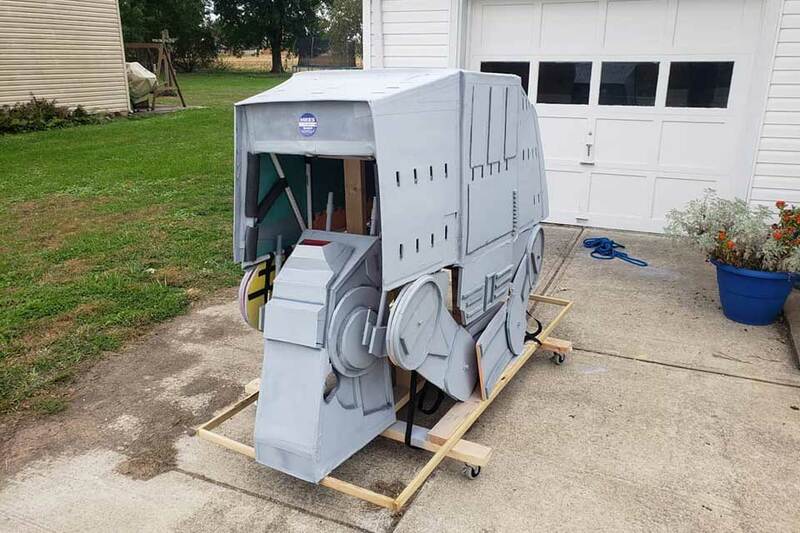 So, if you have a kid, a horse in AT-AT costume sounds like the perfect companion for his or her trick or treat rounds this Halloween. With a companion this imposing – made even more imposing by the AT-AT costume, I am sure it will be a harvest for your young one. 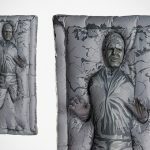 If not, just threaten the grown ups who answer the door with the laser cannons. It will work. It almost always do. 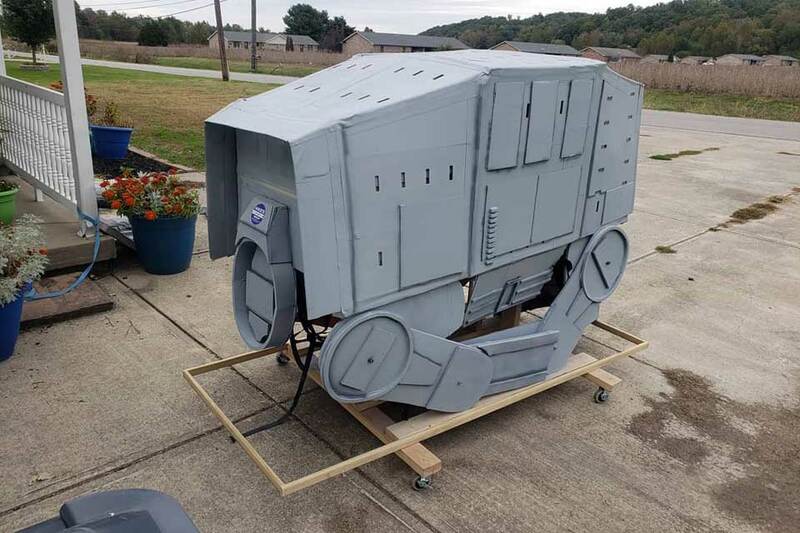 Anyways, in case you are wondering, Mike’s Tiny Shop is an Indiana-based local business that does prop making, 3D printing, prototyping, mold making and more. No words if the costume is for sale, or if instructions are available. 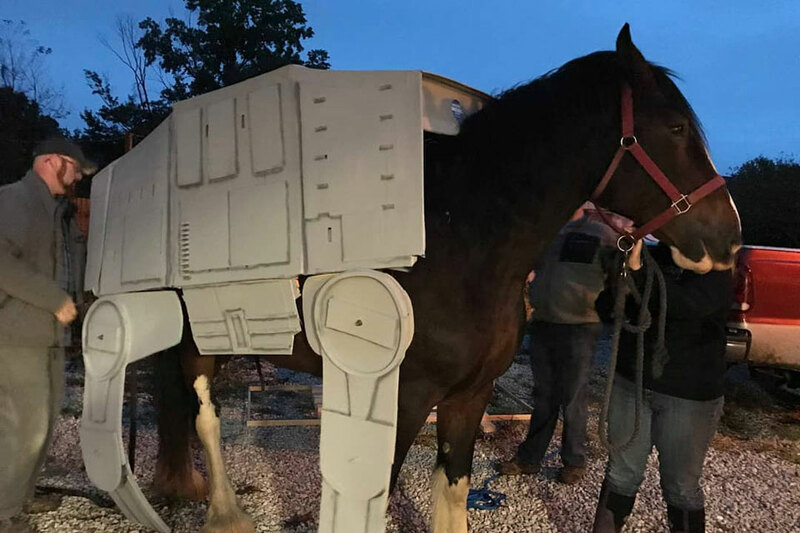 Anyways, the key takeaway here is: a horse is a perfect fit as an AT-AT Imperial Walker. Keep going for a couple more looks at the costume.